Just to prove we're not all just form and order over here at the CCPS, tonight we're bringing you a tape with a very different bent. We're not sure who Mr./Ms. 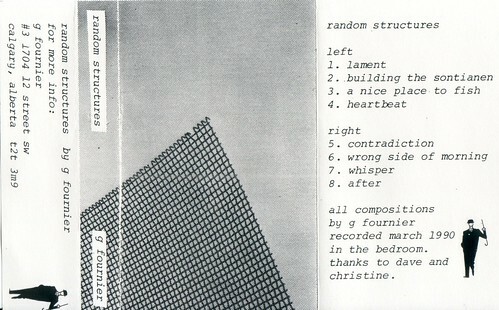 Fournier is, but we found his/her tape of ambient soundscapes in the CJSW archives.